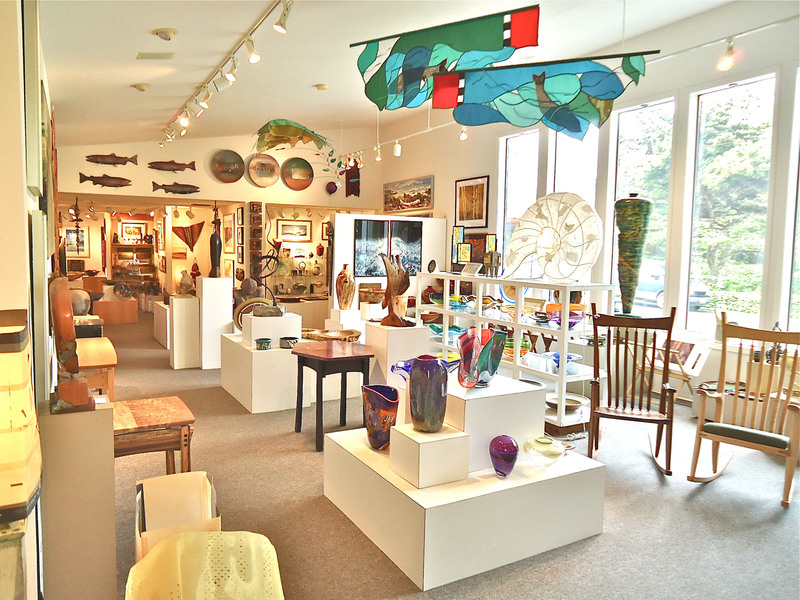 Visit our light-filled gallery space at the Earthworks in Yachats. This entry was posted in Earthworks Yachats and tagged blown glass, gallery, jewelry, local art, Newport Oregon, Oregon Coast, pottery, sculpture, Yachats by earthworksgalleries. Bookmark the permalink. Hello, I am a Eugene watercolor artist and would like to show my painings at Earthworks gallery. I am an award winning artist and my work has appeared on CD covers and books. I am a juried member of the Watercolor Society of Oregon and have shown my work in Portland and Bend as well as Eugene. Visited your Newport gallery on October 3 and purchased 2 glass panels created by Toni Zybell and an etched glass heron piece. Devonee was so very friendly and helpful while assisting us. She’s the best and hope to work with her again! Always enjoy shopping at both galleries and usually come home with a prized memento. Please let me know if you any glass panels by Toni Zybell at your Yachats location. Thanks! I purchased earrings by Degroat. I love them, but the second time I wore them the post came off in my ear. Would you forward this message to her, so I could contact her to explain the problem. yes send them to the gallery and we will forward on to her. It’s a simple fix.